On April 30, 2018, the Office of the Inspector General for the U.S. Department of Health and Human Services (OIG) issued a favorable Advisory Opinion regarding a Durable Medical Equipment (DME) distributor's proposal to provide patients with free ostomy products. 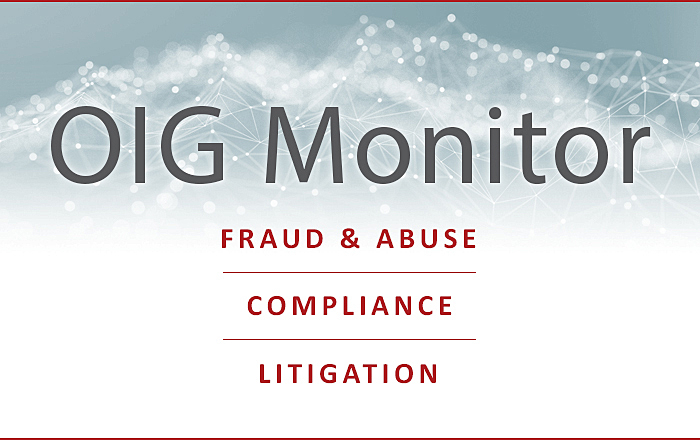 The OIG concluded the arrangement presented a low risk of fraud and abuse under the federal anti-kickback statute (AKS), and did not implicate the civil monetary penalties law (CMPL). Under the proposed arrangement, a DME distributor intends to provide a free sample package of ostomy products to patients, including federal health care program beneficiaries. The package would include a base-plate and collection pouch (“Sample”), with a retail value of $6-$38 depending on the type requested. The Sample would be selected by the patient, or his or her health care provider, and mailed directly to the individual's residence. A patient would be limited to one Sample, with each Sample's life-span lasting two to three days. The Sample would be accompanied by educational information regarding the product, use, and other industry suppliers. The DME distributor would also contract with a third party service provider and separately with a fulfillment center to assist with operational logistics. The service provider would be responsible for processing the patient request for the Sample and conducting post-use patient satisfaction surveys to evaluate patient satisfaction with the Sample, help patients identify support services or general ostomy information, and provide basic product information when requested. The results of the patient satisfaction survey would be provided to the DME distributor in an aggregated and de-identified manner to allow the company to improve its products and marketing efforts. The service provider would be paid a fair market value rate for its services, which would not include the volume or value of subsequent sales. The fulfillment center, responsible for filling the sample requests and mailing the Sample to the patient's home, would be paid a $200 monthly flat fee, a $5 service fee for each Sample mailed, plus the cost of shipping. The fulfillment center's compensation would also not be based on the volume or value of subsequent sales. The OIG first examined the proposed arrangement under the CMPL beneficiary inducement prohibition. 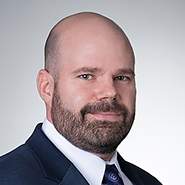 The OIG concluded the proposed arrangement did not implicate the CMPL because the DME distributor was not a “provider, practitioner, or supplier for the purpose of Section 1128(a)(5) of the Act.” The finding that the CMPL was not implicated by the arrangement was based on the fact that the DME distributor did not directly or indirectly file claims with a federal health care program, such as Medicare or Medicaid. Although not a manufacturer, the OIG applied the same rationale to the DME distributor that it previously applied to conclude drug manufacturers were not a “provider, practitioner, or supplier” subject to the CMPL law unless they directly or indirectly own or operate an entity that filed claims. The arrangement would not increase federal health care program costs because the free samples would not be billed to a federal health care program. The arrangement presents a low risk of patient “steering" because the samples are not contingent on future purchases, ostomy products are clinically fungible, and product selection is largely based on a patient's personal preference. The arrangement is unlikely to result in inappropriate utilization because the free samples only last a few days, the patients would be subject to cost-sharing obligations on any future purchase, and the federal health care programs have quantity restrictions in place on ostomy supplies. The arrangement safeguards against the third party service provider promoting the ostomy products during the survey process because the entity is not compensated based on the volume or value of future sales and does not independently sell the product. The OIG's conclusion is further evidence that the provision of free products to federal health care beneficiaries can present a low risk of fraud and abuse under the AKS so long as specific safeguards are implemented. The hallmarks of a low-risk proposal continue to focus on safeguards against increasing federal health care program costs, overutilization or improper utilization, patient steering and seeding, and compensation models taking into account the volume and value of sales. The requisite safeguards are stringent and closely scrutinized by regulators. Any provider, practitioner, or supplier contemplating giving a federal program beneficiary a free item or service must do so with the utmost caution. The advisory opinion also serves as a reminder that every remuneration stream in a proposed arrangement should be examined to determine AKS compliance. Here, the OIG examined the conduct of, and payments to, the third party service provider under contract because it had the ability to induce referrals by virtue of its beneficiary contact. Parties to any arrangement must recognize that ancillary entities can impact liability under the AKS.